How do you encourage greater interaction with your online contacts? In this lesson, Grant Leboff together with Dave Chaffey – author of Digital Marketing, discuss some tricks and tools to help businesses deliver really targeted messages. Grant Leboff: Dave, one of the things that changes in digital is this whole idea of the way that you message; who receives that message and how it is interacted with. So perhaps you can talk a little bit more about that? Dave Chaffey: I think its one of the big opportunities of digital, that once someone is interacting with you on your website or in social media, or email, you can deliver those really personalised, targeted messages. I think that with a lot of aspects of digital, people aren’t making use of them. So just some examples of what you can do:- On the website, of course, you can deliver personalised panels and containers but really they are often used mainly in retailers. So we have all seen the Amazon personal recommendations, but you can be a business to business organisation and if someone is looking for a particular bit of content, you can recommend the next piece of content or encourage someone to sign up. So that’s on the website. Then you’ve also got re-marketing, whereas, if someone has visited a particular part of the website, you can use Google to deliver a message elsewhere on the web to encourage someone to return. That’s being used more and more, that’s ‘ad words remarketing’, so I would recommend that. And then, with email as well, personalised messages work well. A good example of what you can do there to start quickly is; I think for most people, when someone signs up for a newsletter or subscribes to get a download, they will send out a welcome email and it might just be ‘thank you for subscribing’. But the smart way to do it is to put some dynamic content in there which works out the type of person and deliver relevant messages. So, for Smart Insights, if we recognise that someone is say, a digital marketing manager, as against an agency owner, they’ll get a different email recommending that relevant personal content. Grant Leboff: So one area is obviously the personalisation of the content. What about in terms of reach? Once you start getting into social platforms and the opportunities there with conversations and other things like that, how do you see that working the business? Dave Chaffey: I think with social media there are lots of advertising programs available now and of course Facebook is going to be the primary for most consumer businesses and even business to business as well. So you should look at your options for expanding your audience through Facebook, so with Look Alike Audiences [https://www.facebook.com/business/help/231114077092092], for example, you can upload details of the profile of your current customers and then send more tailored ads to build / find more similar people. Then there’s the remarketing on Facebook as well, so it’s worth considering. I’d have to say that the volumes that you are likely to get from Facebook or if you’re in business to business, LinkedIn; can be quite low because there’s a lots of competition for attention and people, as they are using social media, they are not necessarily going to click on the links, so it’s worth looking at but don’t expect the world. Grant Leboff: And how would a business go about starting to utilise some of these tools, do you think? Dave Chaffey: I think you’ve got to look at where your audience is and prioritise, because they are often not cheap – the social network ads. So with LinkedIn for example, you could be paying 2-3 £/$/€’s, for an individual click. Although that’s the obvious place to start for B2B, it may be on Twitter or Facebook you will have a lower cost per click. So it’s this balance of where your audience is and the return on investment that you’ll get. So I’d say, start by testing the main three or four networks – the ones I’ve mentioned there and then once you see what’s working build on that. Dr Dave Chaffey is CEO and co-founder of Smart Insights (Marketing Intelligence) Ltd., and has been recognised by the Chartered Institute of Marketing as one of 50 gurus who have “shaped the future of marketing”. Google is now favouring mobile friendly sites. In this lesson, Dave Chaffey, author of Digital Marketing, explains why ‘mobile friendly’ websites are much more than simply being websites on wheels. Many people, mistakenly, think that digital marketing has moved on from email. In this lesson, Dave Chaffey explains why this isn’t the case and how it is being used to great effect today. One of the terms that people hear about in marketing, and don't always completely understand, is ‘personas’. In this programme, Dave Chaffey, author of Digital Marketing, explains to Grant Leboff what personas are and how they can be useful. To build a successful website, surely everyone needs a digital strategy plan?. In this lesson, Dave Chaffey, explains that obvious as it may seem, not everyone has one. Once a visitor has successfully engaged with your website, what happens next? In this lesson, Dave Chaffey, author of Digital Marketing, makes the case that that the biggest challenge of all is the long term engagement. We have all heard of the Sales Funnel represented by AIDA, but what does the acronym RACE stand for in digital marketing? In this programme, Dave Chaffey explains what it means and how it works. Affiliate marketing may sound great for the likes of Amazon, but is it good for you? In this lesson, Dave Chaffey, author of Digital Marketing, discusses how companies can develop similar arrangements that work well on a reciprocal basis. How do you measure the effectiveness of your digital campaigns? 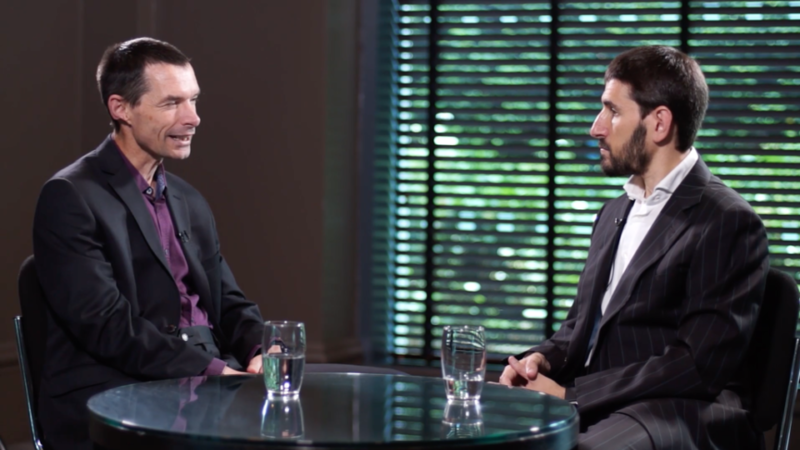 In this programme, Grant Leboff and Dave Chaffey, author of Digital Marketing, discuss some tools and key metrics in terms of social media monitoring that companies should start to consider. How do you encourage greater interaction with your online contacts? In this lesson, Grant Leboff together with Dave Chaffey - author of Digital Marketing, discuss some tricks and tools to help businesses deliver really targeted messages. If your company isn’t a high ranking brand on the search engines, how do your potential customers find you? 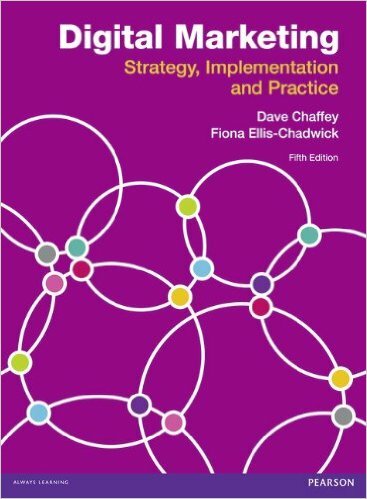 In this programme, Grant Leboff asks Dave Chaffey, author of Digital Marketing: Strategy, Implementation and Practice, how you can become visible, online.